Dynamicode is boutique software company, the sole developer and owner of MiniNet. MiniNet is E-commerce software, an integrated business application suite designed to enable businesses to automate, manage and track their operations while marketing their products on the Internet via advanced feature-rich web-stores. If you are looking to implement an E-commerce platform for your business, please do contact us - we'd love to know you, introduce MiniNet to you, and hopefully, join you and support you while you take the amazing journey to your E-commerce success. 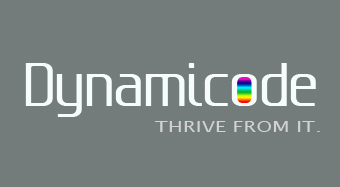 Please do write to us at enquiries@dynamicode.com with your contact information and a bit about yourself and your business - We'll take it from there. Thrive From It, With Us! Copyright dynamicode.com All rights reserved.